Effective protection for your crops. A great deal of agricultural damage is caused by wild boar and deer looking for food during the sow season. They are an increasing problem in terms of eating crops, which can be very costly business. 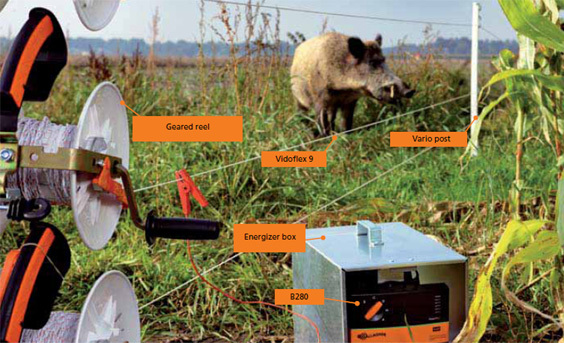 Protect your crops against all wild animals with the Gallagher solutions for mobile fencing. An important requirement for mobile protective fencing is its visibility, also at dusk and dawn. The fencing to keep wild animals out is always customised.